Few things are as unapologetically geeky as wearing pop-culture themed shoes. 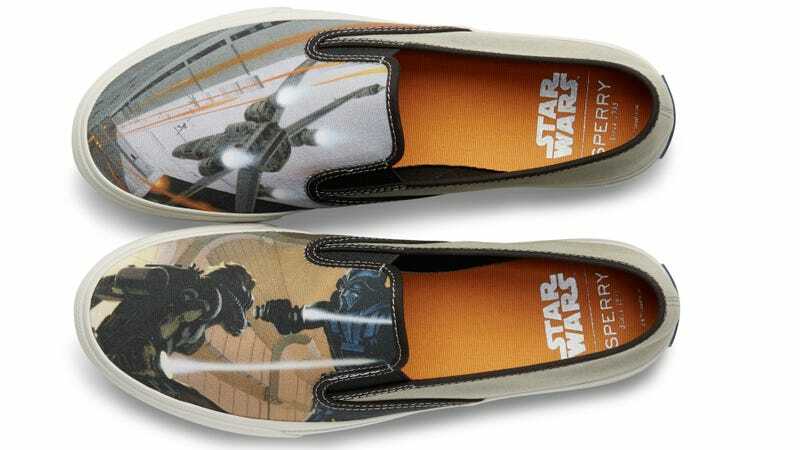 And if you’re into that kind of thing, Sperry just announced some super sweet Star Wars ones. Available in five different styles—including bright colors with subtle designs as well as bold, original Ralph McQuarrie concept art—there’s something for every fan. These will go on sale August 10 at Sperry retail stores, sperry.com, and a select number of other retailers. Here are more images.